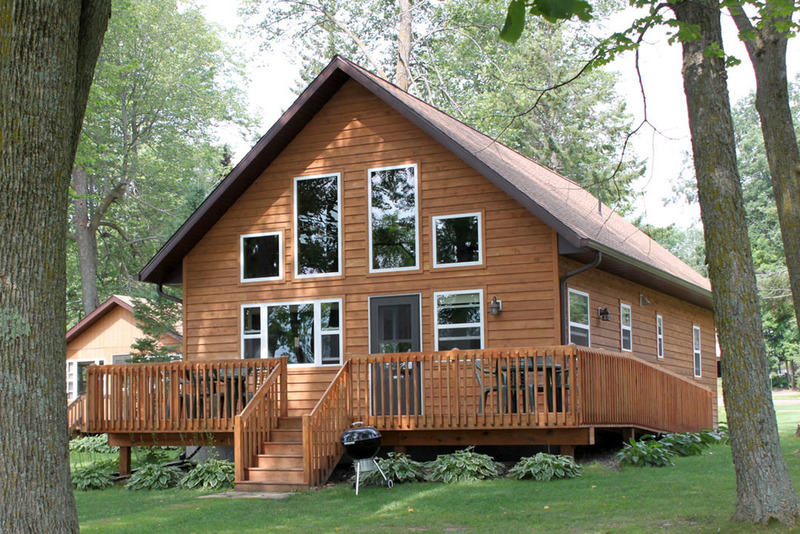 An all new 3 bedroom lake home with a fireplace in the living room and a cozy, "up north" feel. 3 bathrooms, one with tub/shower combo, two with showers. 1st floor is wheelchair accessible. Beautiful pine ceiling, wainscotting and trim. 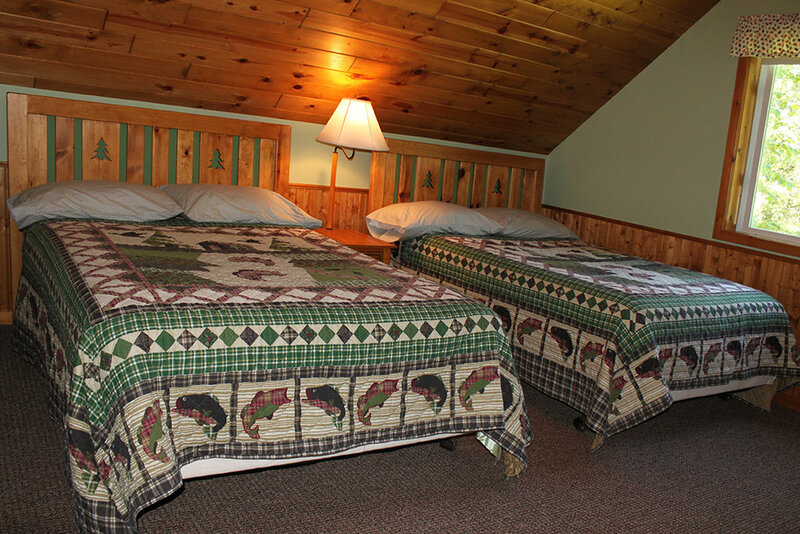 The loft has 2 full size beds; the other bedrooms have 2 queen beds each for a total of 6 beds. A pair of futons in the living room means this cabin will sleep up to 12. Also features a large deck. 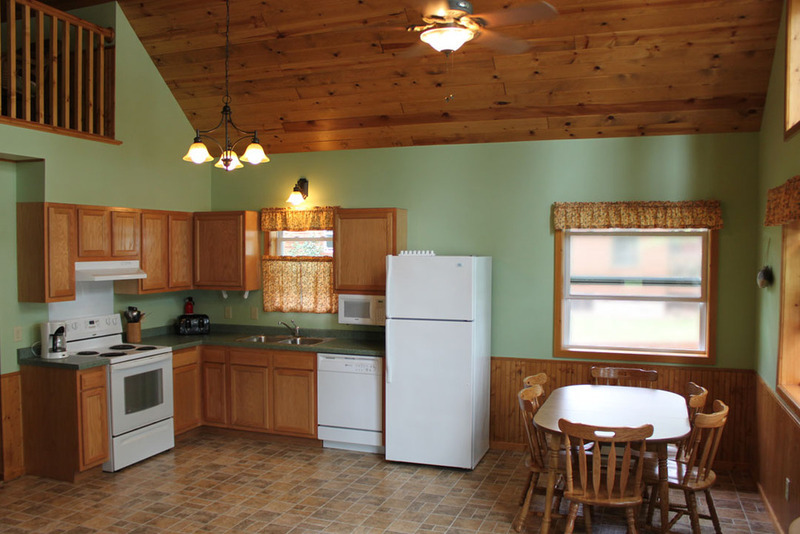 $2775 for up to 6 people. Deposit $1385. $2000 for up to 6 people. Deposit $1000. May 3 - June 1 and August 10 - October 7. Shorter stays available, prices include up to 6 people. 2 nights $915, 3 nights $1275, 4 nights $1500, 5 nights $1725, 6 nights $1875. Deposit is 50% of price. 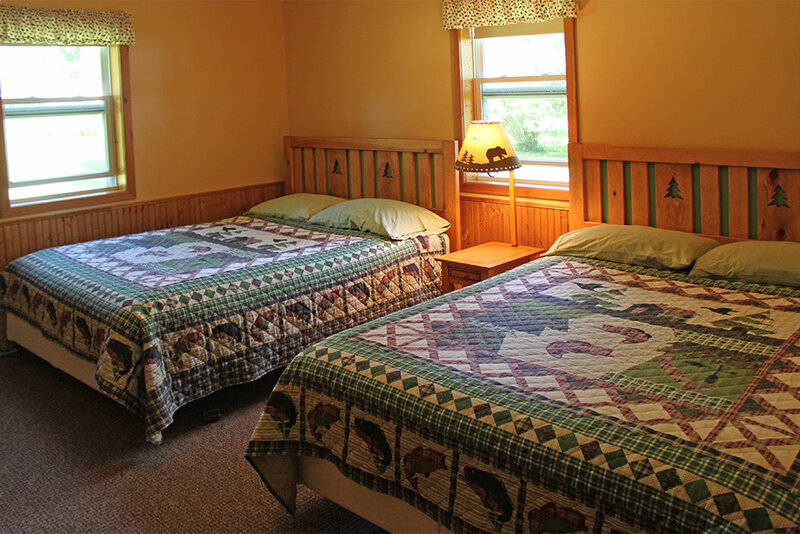 Additional persons are $20 per person each night, up to $80 maximum weekly.